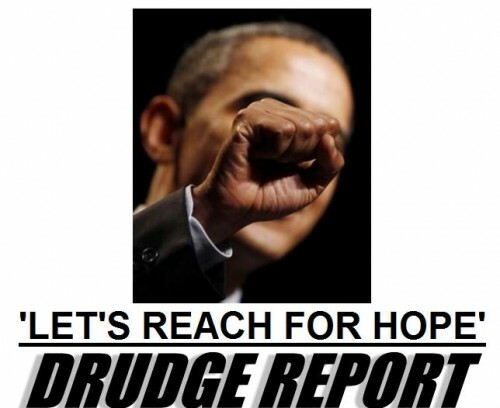 Barack Hussein Obama pleads … “Let’s reach for hope,” Good grief, is this the Obamamessiah’s new campaign slogan for 2012? No Mr. President, let’s reach for the voting lever and throw you and yours out office in the 2010 midterm and 2012 elections. Americans have about had enough of your hope. As a matter of fact, we can’t take any more of your hope defined as near 10% unemployment, record federal deficits, out of control spending and budgets, no border security and a health care plan that is nothing more than a government take over of health care and our lives from cradle to grave. BARACK HUSSEIN OBAMA … WE HAVE HAD ENOUGH OF YOU AND YOUR SO-CALLED HOPE! From the AP with a hat tip from the Drudge report, Obama says reach for hope while he and the Democrats rob Americans of their hard earned money and civil liberties. Obama spends the people’s money with little regard as to the wasteful nature of a $787 billion stimulus plan that accomplished nothing. Actually President Obama, Americans are afraid of your present. This has nothing to do with the GOP or former President George W. Bush. This has to do with your atrocious track record on the economy, jobs and the budget. It has to do with you at every opportunity siding against the will of the American people. Americans have had enough of your and your words of hope. I just had a terrible thought. How many and who is Pres Bummer going to parden when he leaves office in 2012. The streets wont be safe!! SM: He might have to pardon himself if he keeps us the BS. Gee, maybe he will pardon all the detainee’s at GITMO? looks like a black power salute to me. I don’t care about the color of this man’s skin. I have the upmost respect for my black neighbors and friends. All I want is for this President to be an American before he is anything else. We need his guidance for jobs and protection against our enemies. He needs to step up to the plate. #2, he does not have the balls. capable of stepping up. doesn’t care about stepping up, but will take several vacations a year on our tax dollars. as far as being an American, well see for yourself that he is not an American in mind or heart. he is merely another muslim sympathizer with our country in his hands. God help us all. The only thing I’m hoping for is that Obama Husseine’s term is over SOONER THAN LATER….that is the dream of change I’m dreamin of!!!!!! I will personally be busing people to the polls for the next elections….come on America lets pull together and get some people that care about America and the people! Let’s stand tall and proud and place our hands over our hearts for the national anthem and sing loud!!!! I love America….let’s take it back from this clown and fellow democrats who make a mockery out of the land we love!